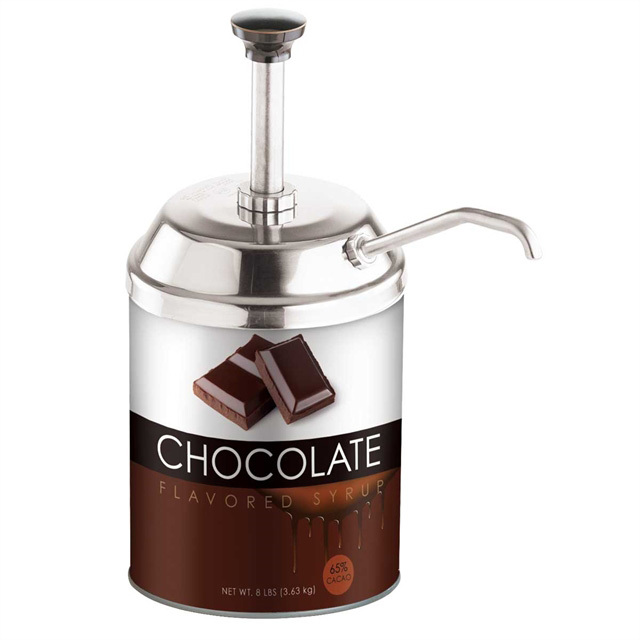 This stainless steel pump is ideal for dispensing thin products like syrup directly from a #10 can or stainless steel jar (3-quart/2.8 L capacity). Server stainless steel pumps feature investment cast valve bodies and welded joints for corrosion resistance. The pumps work with fingertip ease to deliver exact portions without dripping. Maximum stroke yields 1-oz (30 mL). Adjusting portion control is made easy with the supplied gauging collars. Collars reduce portions in ¼-oz. (7mL) increments. Colored engraved knobs are available to identify flavors.